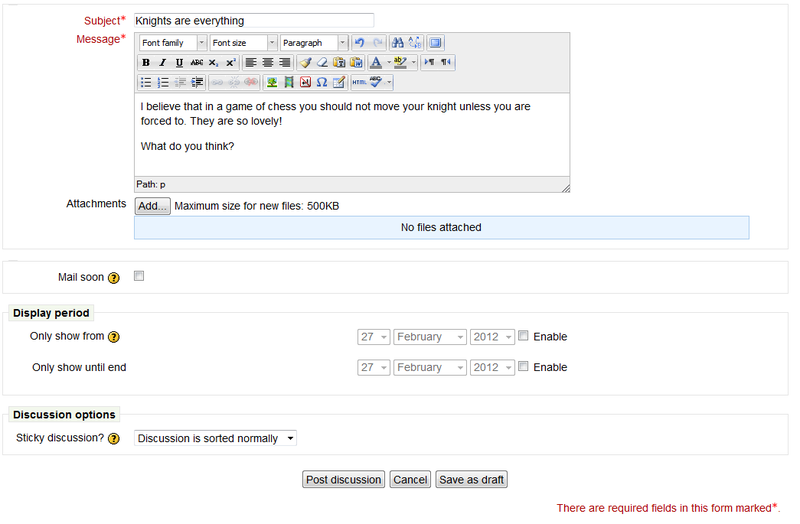 Today’s plugin for review is ForumNG and I was using Moodle 2.2 for this review. 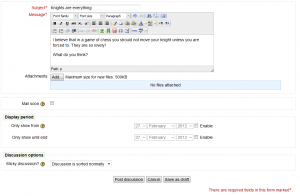 This forum plugin has been around for Moodle 1.9 for a few years now. It is created by The Open University in the UK, and is maintained by their internal team including Sam Marshall. The module had a beta-release in September 2011 and there has been no production release since. However, as there has been a few fixes and changes since then that are only available on the github site I used the code from there for the review. There has been talk on and off about this code replacing the built-in forums in Moodle a while back, time will tell. 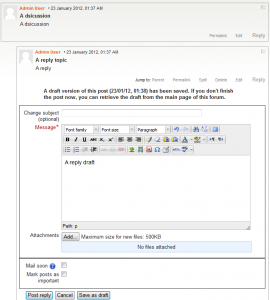 This is a Moodle activity plugin which is an alternative option to the standard Forums within Moodle. Like the OU Wiki module, this can sit alongside the original forum activities as it is completely independent. There will be times you may want to use one or both systems depending on the use case. A friendly star system for ratings. However, one which I particularly like (and something which Juan Leyva just made for Moodle 2 normal forum see last comment ) is a single thread subscription rather than for the whole forum. There is a zip available in the official Moodle plugins database, however for the purpose of the review I downloaded the most recent codebase from Github. It does say that it is not frequently updated which is a pity! But at least github is there. 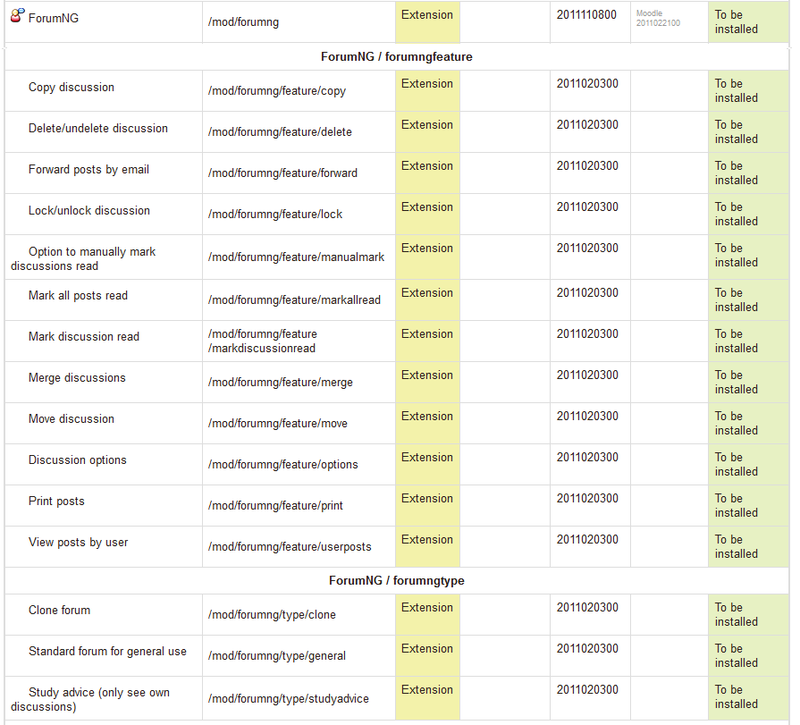 It is a normal Moodle module, so once I downloaded it I created a folder called forumng in my moodle 2 site under /mod. I then uploaded the contents of the zip to this folder. Logging into the Moodle 2 site as admin, I was prompted to upgrade to install the plugin, and all the subplugins (image below) This install went fine with no reported errors. As mentioned in the introduction there are a lot of features. 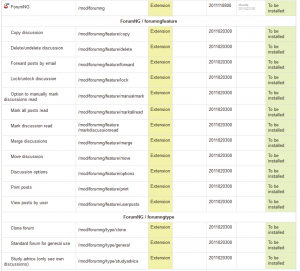 As you can see, there are a lot of parts to ForumNG when it installs. There was also quite a few global settings for ForumNG but as with most of my reviews, I left them all default. Unlike the OU wiki which is simplicity, this is a complex feature rich plugin. The Moodle Docs page provides good information on the different features, releases and a short FAQ. It also links to the OUs forum quickstart guide which is an essential read! There are forums discussions and the README also provides the essential information for installation. When creating the forum, the teacher is given options to select the forum type. Unlike the standard Moodle forum, there are only two types available – The standard forum or the Study Advice (which is the one to one with student/teacher format). The teacher can also set ratings, limit posts times, remove old discussions and limit users to a number of posts per day. Once the forum is created you see the following on the screen. So you need to add a discussion now. 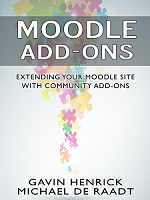 The add discussion is somewhat similar to the native Moodle forum, however you immediately notice one change – the option to make the discussion a STICKY. You can also save the discussion as a draft for completion at a later stage. One feature I really like is the ability to specify the time which the discussion appears for students. So you can preload your forum with questions just as you would line up quiz or assignment deadlines. In practice this means that when it is hidden students do not see the discussion at all. However or moderators, it will show on the discussion list in grey and with a small clock icon. Once you have created the forum discussion the first entry looks is quite straight forward. When you have multiple discussions, you can then set a discussion to be at the top always rather than them changing with new posts. This is the sticky option, and is viewed below with the Green icon on the discussion box. When a student goes to create a thread it is quite straight forward. Replying to an existing thread is ever simpler. 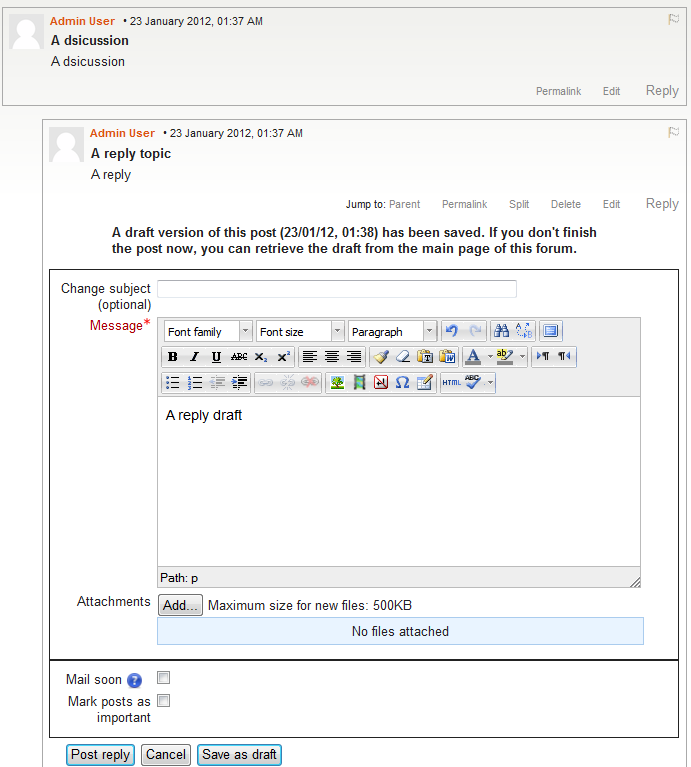 The reply box appears below the post you want to reply to without reloading the page and if the student runs out of time to submit he can save a draft until later. If a discussion has been deemed important to read, it has probably been stickied so will appear at the top. The ease of use of the interface makes ForumNG quite attractive to some. The forum has two nice useful use cases available for it that provide a multitude of options for teachers. The interface is easy to use and the number of neat user-friendly features just make the whole experience great for the teacher and the student. You may use the Moodle forum still for some particular use cases and it has some options that ForumNG does not but once you have got forumNG, you will see the specific benefits of the timed posts, the nice UI and the extra options for the discussion view page. Of course one option that some are arguing for is to have those sought after features in the core Moodle forum or have one module with the blend of both sets of options. I can’t wait!